Dive in and join Nemo on his latest adventure. Build a beautiful reef, and make a home for your favorite Finding Nemo characters! Nemo and his dad, Marlin, set out to build the coolest reef in his class. Help Nemo create a best-in-class underwater retreat, and discover the secrets to building a permanent home for his friends! 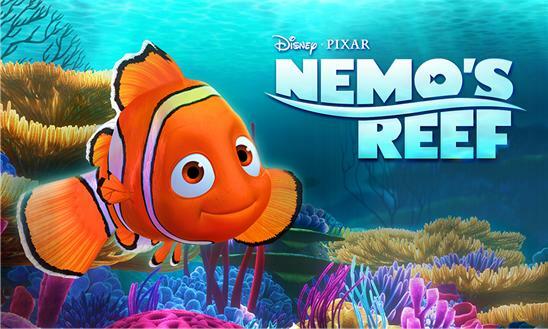 ★ Continue Nemo's story and adventures beneath the sea! ★ Create and personalize your very own underwater paradise. ★ Make a home for your favorite characters from Finding Nemo including Dory, Gill, Bloat, Bubbles, and more! 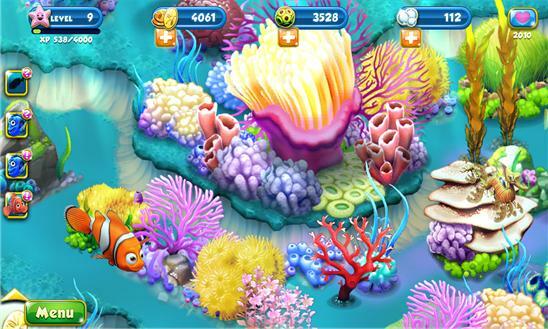 ★ Find the different combinations of plants and decorations to delight Nemo's friends and other exotic fish. ★ Discover and plant rare seeds to attract extremely rare and mysterious fish. ★ Collect over 50 kinds of fish to enhance your world! ★ Visit your friends' reefs, and compare their collection of fish to your own! Before you download this experience, please consider that this app contains social media links to connect with others, in-app purchases that cost real money, push notifications to let you know when we have exciting updates like new content, as well as advertising for The Walt Disney Family of Companies and some third parties. In App Purchases from $0.99-$49.99 http://disneytermsofuse.com/ More of your favorite Finding Nemo characters are moving into the reef! Check out that and more in the newest update! • Welcome the newest inhabitants to the reef, Crush and his adorable son Squirt! Join them on fun quests and a brand-new mini game! • In the new mini game, play hide and seek with Squirt, Nemo, and the rest of the other fish to earn special rewards! • Uncover more riches with the new picklock feature for treasure chests! Now try your hand at picklocking treasure chests you find to earn free surprises! • New, super rare fish every month! Will you find fish hiding in a treasure chest? Open more to increase your chances! Every month, there will be different fish you can discover within treasure chests, so collect them all! • Finally, check out general improvements to co-op quests, friends display, quest progression, and more.